My friend Marie Claire (who is French) and I made plans to head to seek some traditional English entertainment in the form of a panto. Marie Claire had heard of them, but never seen one, so we got tickets and decided to go after work on a Friday. This was probably the worst choice we made. 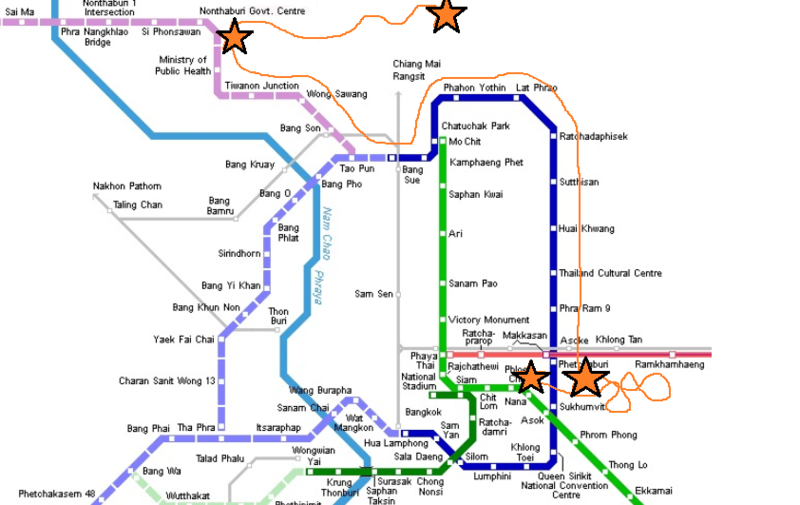 Marie Claire lives close to a shop on the Metro’s purple line (the Bangkok underground extension) but I do not and had never travelled on it. 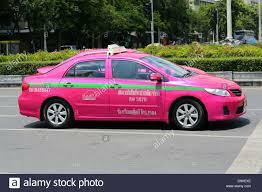 I got a taxi to the nearest station and then got on to meet her at a stop in Bangkok. I had no clue where I was going and made a small error on my travels, but it only added an extra set of stairs. I was tired from a busy day at work and had not yet eaten. Once we found each other, it was less stressful and the fun of laughing at our lack of knowledge of where to go was entertaining. The traffic was so bad we thought we would walk. We followed the GPS, but it had us totally confused. 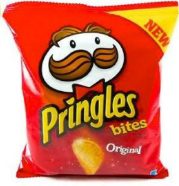 We spoke to a policeman who said that going by taxi was better, so we grabbed some water and Pringles to revive me and jumped in a taxi with Marie Claire’s husband talking on the phone with the driver. 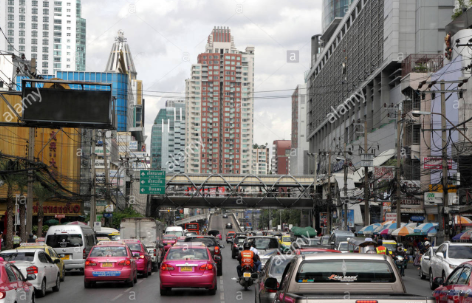 Marie Claire’s husband kept calling for updates on our travels as we crawled along in the Bangkok Friday night traffic. We had left at 5 for a 7.30 show, but we were late. He joked that we would only see them bowing at the end at this rate. The driver was laughing at us, so at least he got some entertainment. The directions from Marie Claire’s husband had us getting out of the taxi, crossing the road and walking a short distance to find the M theatre, but this ‘short walk’ was a good work out. We were so late when we finally arrived. 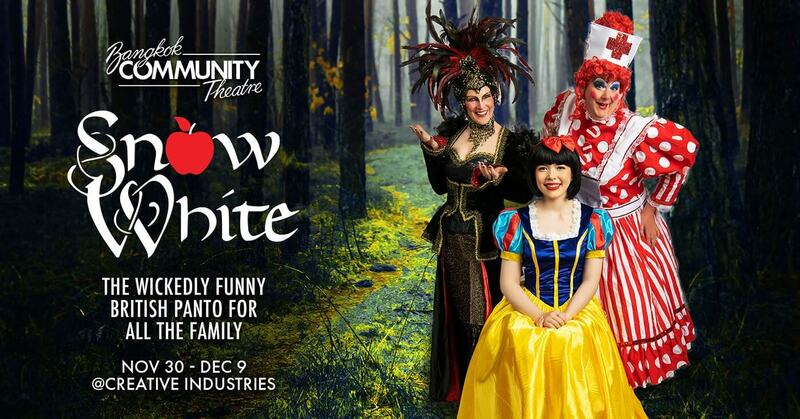 The show was Snow White, but this one had 7 11 dwarfs (fitting with a little Thai comedy). 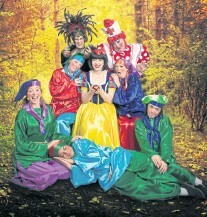 I had forgotten how panto is so brightly coloured, over the top, audience engaging and involving. With the Casio keyboard sounds from my own performance in panto coming back, it was great to feel like we were not in Thailand for a while. All the “he’s behind you!” with the ghosts of the forest and and the singalong were included too. 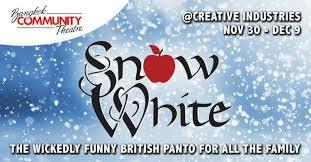 The jokes were English in nature and a handful were about western things, so it was easy listening. After we first sat down on our back row seats and were watching, the interval happened about ten minutes later, but this was good as we grabbed something to eat and drink. The costumes were amazing. Marie Claire enjoyed it, saying they didn’t have anything so easy to follow in France, but she thought a show they have with puppets was the closest thing. The fact we missed so much at the beginning didn’t actually make it confusing. That’s the nature of it being a story you know, but told in a silly way. It was a lovely evening out. We were shattered, but had laughed so much it was worth it. The travel gave us time to catch up as it’s been a while since we have been able to do that, outside of chatting on Facebook. I know this is not work related, but I was sure people would be pleased to hear I was having fun outside of work with friends. After such a busy week, I managed to sleep in on Saturday and recharge. I’m thankful to Michael (Marie Claire’s husband) for watching the kids so we could go and for all his assistance to get to the show. It was such a silly fun evening. I’m feeling the Christmas vibes more now. That is brilliant, so glad you had such fun together. Sounds a good evening. 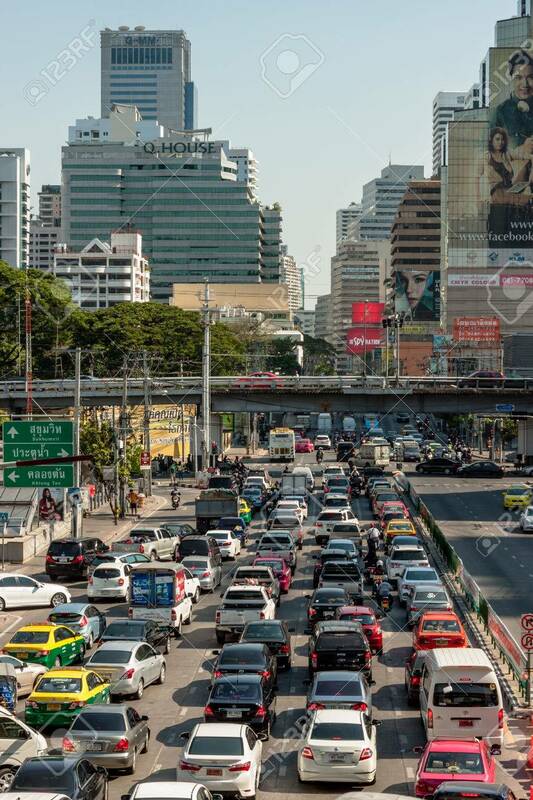 Reminds me of out trip trying to get to Siam Niramit. reminds me of my Cinderella days as a child at the nuffield.